As the first signs of spring emerge, we slowly awaken our senses to the budding world around us. It’s understandable that we want to linger in this laid-back atmosphere for as long as possible. 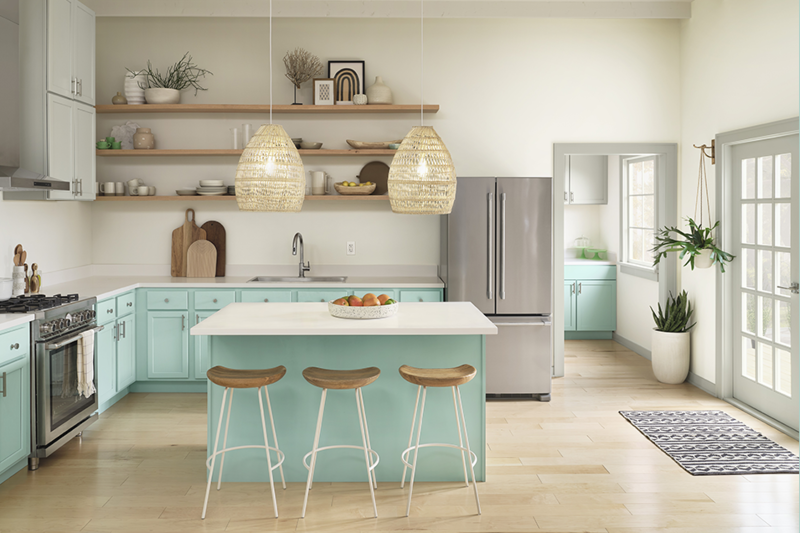 Thanks to trending cool pastel colors, you can create this feeling year-round in your home. Soft and breezy paint colors bring harmony to a room where sunlight dapples across wood floors. Furniture and accessories continue the casual theme, with clean lines and a slight retro appeal that invite you to relax and enjoy.